No, they are not adverse to scientific discovery. It’s just that –for fairly obvious reasons – they like to sleep on flat ground. Flattish ground is therefore usually an essential prerequisite for most successful campsites. Yet Britchcombe Farm, in Uffington, West Oxfordshire, seems to break the mould. 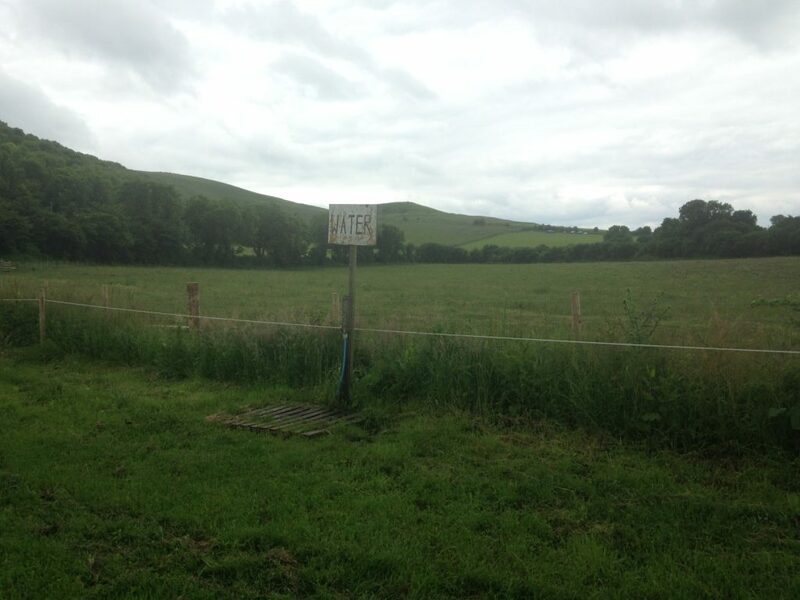 The site is a patchwork of six or seven fields. The ground in one is just about even. Others are, well… pretty hilly, to say the least. It’s almost as if they are carved out of the contours of the Chiltern Hills, which rise up above the site. Even so, staying at Britchcombe really is a pleasant and calming experience. 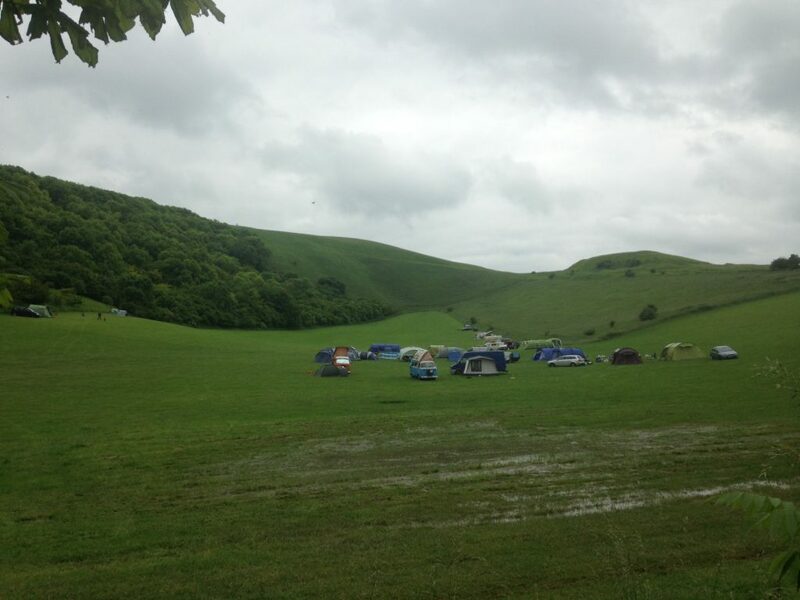 If they are lucky, campers pitch in that one flattish field, which is directly opposite the entrance to the farm and reception area. Others make do by hugging the edges of each field, or keeping away from the high ground – to avoid the more pronounced gradients. Facilities are basic. There are showers and basic washing up facilities near the farmhouse (where marvellous cream teas are also on offer) – but that’s about it. Each field has a simple standpipe for water and a small collection of portaloos (although using them can’t be compared to the dismal festival portaloos most of us have had to endure in the past, as these ones seemed quite luxurious and spotlessly clean). What’s really great is that fires are permitted. The campsite team tour around the site in an old Landover selling wood and kindling. Whether you want to toast marshmallows or stare into embers over a nightcap or two, the chance to enjoy a real fire in the outdoors is quite marvellous….and one most camps sites no longer allow. 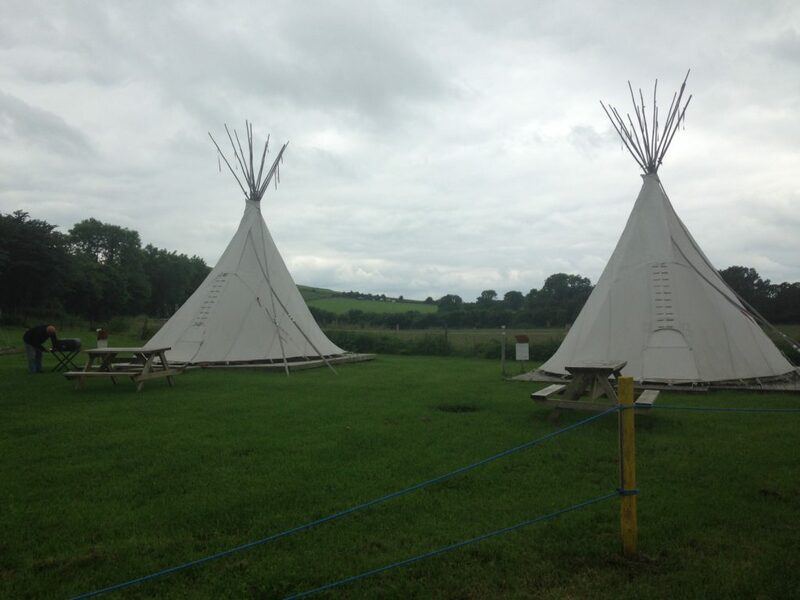 There are pre-fixed glamping wigwams for hire if you want the easy life. 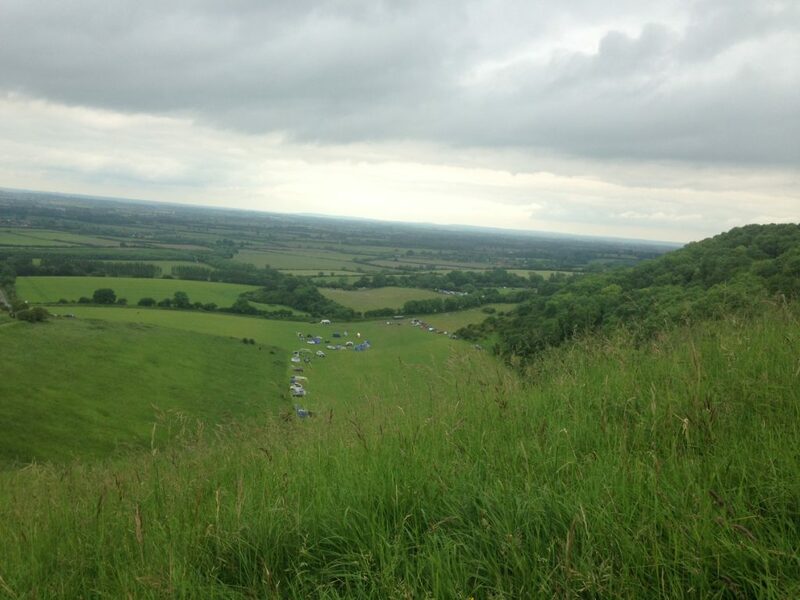 Otherwise most campers just pitch up, and look up at the Chiltern Ridge which stretches high above the campsite. The energetic take the short, but rather abrupt path up to see the famous Uffington White Horse, a gigantic white horse etched out of the grassy hillside around 3,000 years ago. Walking back down to the campsite red kites can be seen swooping in the sky above. They look pretty big and tremendously graceful. When we returned to our field we realised that these fantastic birds seem to like camping too. They descend and land just a few metres away, before flapping those enormous wings and taking off once more. 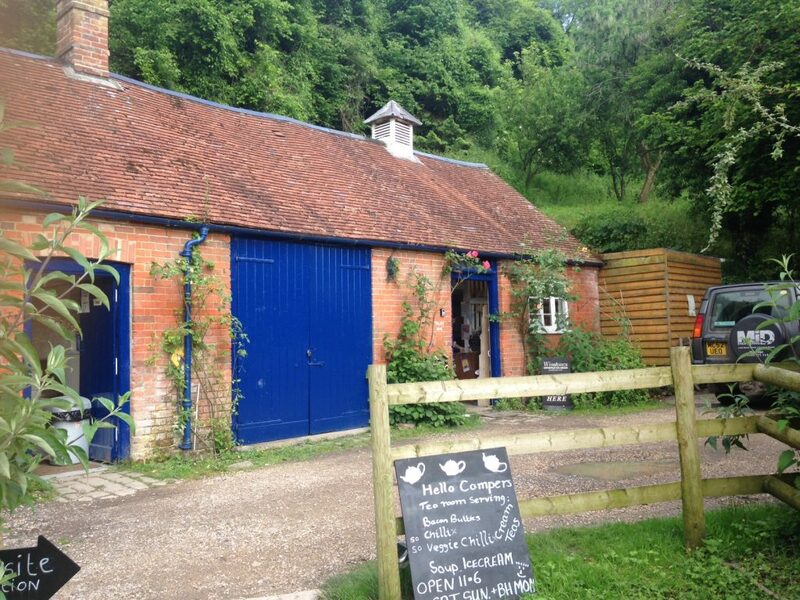 Our time at Britchcombe comes to an end. We will return though, as we have done before. With its open views, straightforward simplicity and ability to enjoy a proper campfire at night, pitching up at Britchcombe really is a lovely way to let a summer’s weekend slide by (sorry… that pun was too hard to resist). ← Minsmere to Southwold: the ‘Sunrise’ Coast.